There is a growing number of social networks and websites that are targeting software developers and graphic designers. Some of these sites, most notably github, have been used as a recruiting tool and in the interview process in hiring developers. Even though it is not strictly a social networking site, github has a lot of social and collaborate features that make it resemble one. But instead of posting your latest vacation pictures, you can post the programing source files for the open source projects you are working on. You can post any source code, from a single script file you find useful to a larger project. 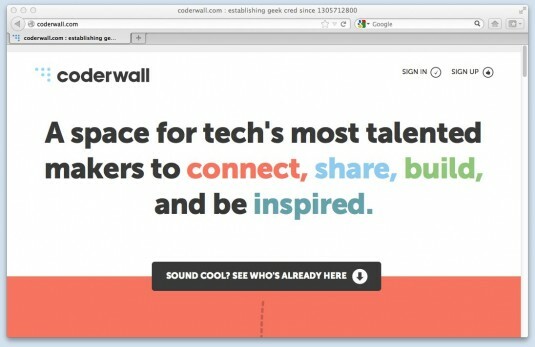 Coderwall allows developer and designers to post their skills and achievements and earn achievement badges. If someone forks your project on github, you get a badge. If you were a early github user, you get a different badge. Forrst feels like a Twitter or Tumblr for technologists. You can follow people, post images or ideas, and like and comment other people’s posts. 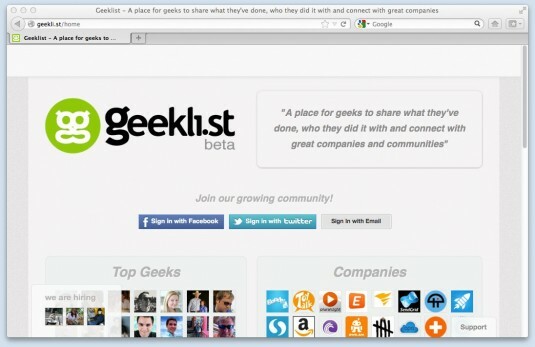 Similar to other social networks, on geekli.st you can follow other users, high five their accomplishments.